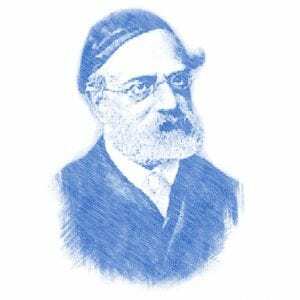 The land is cursed ba’avurecha (בעבורך), translated here as ‘because of you.’ However, according to Rabbi Samson Raphael Hirsch, a prolific writer and leader of Orthodox Jewry in 19th century Germany, ba’avurecha means ‘for your sake,’ in order to rectify man’s actions. 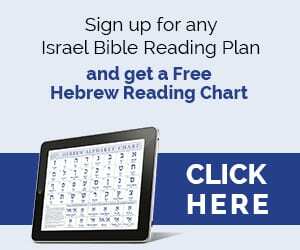 Following Adam’s sin, the land’s prosperity became a means of measuring man’s adherence to Hashem; for the Jewish nation, this means following the commandments and keeping God’s Torah. When they do so, Hashem shows His approval through the land’s flourishing. This is especially true in Eretz Yisrael. 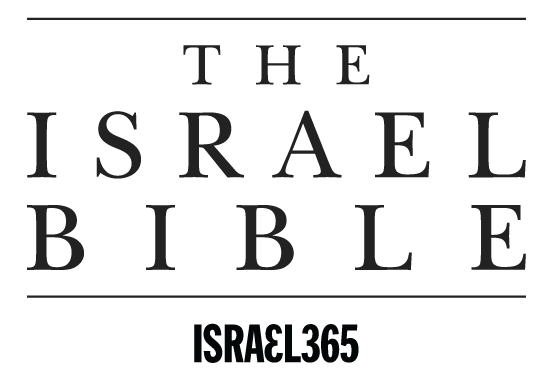 Scholars and historians alike note that while the Jews were in exile, the Land of Israel lay fallow and uninhabitable until they returned, and in just a short time the Jews of Israel, following the commandments set out in the Torah, have turned a wasteland into a blooming, prosperous country. The way the snake works is an indirect method. The snake attracted to the beautiful fruit can only open up the eyes of Chawa for the beauty of it, in order to revive desire in her. And she failed to recognize the falsehood. Adam 's sin is not taking responsibility for her and his actions, but just doing what "the lust for eyes" wanted. When Satan used the serpent as his tool to tempt Chuah it was cursed. Apparently it was the most desirable animal in the animal kingdom and walked upright now it crawls on its belly. Sin brings devastating changes. So funny how u can shape the words of the bible to almost anything imaginable; but still, it is clearly at times, extremely anti- female! Here – at the beginning of time, it states how a man better keep his own counsel, rather than include his wife…. But then, in Proverbs, it completely reverses this trend of thought with a most beautiful thought on women as it states – " the value of a wife…"
It is true G-d always blesses those who are obedient and follow the torah commandments. It is up to us to follow and as a result, be blessed. Polarities will naturally manifest in reversals. The nature of the serpents conversation with Eve was to tempt Eve to think in terms of contradictions and black and white polarities. Eve’s exaggeration about not touching the tree only played into this and helped the serpent deceive her. It is not that disobedience or obedience to the commandment of G-d is not a black and white matter. It is. But only G-d can judge on that level. Our obedience always requires an element of interpretation and faith. That is to say, right-mindedness. The serpent’s manipulation was based upon leveraging the presupposition of the need for interpretation. Questions might have arisen. Was the prohibition not to eat time related? Was it seasonally conditioned? Was it really even an imperative part of the commandment? Was not the actual commandment only positive, to eat freely of all the trees of the garden? Was this tree at the center of the garden actually a part of the garden or not? Was the prohibition somehow only conditional? Obedience to the commandment meant faithfully answering all such possible questions in a manner that resulted in not eating from the tree of the knowledge of good and evil. Had Eve taken a step back and put the challenge that the serpent raised into perspective, she might have kept her mind right, her heart right and her actions right. She might have realized that G-d’s whole purpose was not to test her legalistically but to afford her the opportunity, by obeying his commandment, to trust him completely to provide all her needs. She might have been reminded of his love for her and guarded her heart jealously against the advances of the serpent. However, she got caught up in the polarized thinking introduced to her by the serpent and her thinking thereby became vulnerable to being simply switched from one side to the other. The technical and reductionist world of artificial limitations in which we virtually swim in the world today creates a polarized opposition for us to have to contend with every day. We are immersed in technique and reductionist thought, which polarizes us to the fully globalized open ended potentials of consciousness. This polarization will naturally manifest in a reversal from an immersion in the technical to an immersion in a consciousness-construct of unlimited transcendence. Just as Adam and Eve were tempted to imagine that because they were capable of being conscious of anything in the universe they had the potential of self-realization as gods, so today through some forms of meditation and religious philosophy many people are being simply switched from feeling imprisoned in a consciousness focused on limitations to a liberated consciousness of transcendence. As it was for Adam and Eve, so it is for us. Both sides of this polarity are false. Both sides lead to spiritual and moral wrong-mindedness and then to disobedience to G-d and death. Perhaps Eve should not have spoken to the serpent at all. Perhaps she should not have answered his first question. However, after that she did, she also could have taken a step back away from the tree, to get perspective on the commandment of G-d, instead of a step toward it, as if to try to establish the right interpretation with her own logic alone. It was in this way that she failed. In my opinion Genesis 3:15 is the most important verse in this chapter. Why? …. [the Ebed YHWH within Israel, of which Messiah is the Foremost]. Very interesting thoughts. I love your parallel to the "wife" of YHWH Israel. I never considered Eve was tempted when she spoke to the serpent. But it does make me think….that would be like when something comes to mind and you know that you know that it contradicts Torah but one still continues to play with the thoughts, And the more You allow the play the more you become at ease with it, the more you become at ease with it eventually those thoughts become an action. I think sometimes it is easier to discern the rights and wrongs when it is put to from another person but when It’s your own thoughts? I guess one is only tempted with something that is already in your heart. This is why knowing Torah is important. when you know the truth when something comes along and is contrary to that truth you know who the liar is. Now these can come from our evil inclinations, or from the wickedness of men….which ultimately leaves us with a choice that has to be made. You are right, to make sure we can tell when something is false we must continue to learn the truth. It certainly is much easier to see the falsehood in someone else than in yourself. Powerful revelation that it was to bring back or rectification. This is the case with that stated to woman snd yhe serpent. People not submitting how God had laid it out bring destruction. Eve ruling over Adam and the serpent allowed to rule brought anarchy and chaosness. Do you think though that the woman’s mind was blinded so she began to see in or about the fruit which she did not see before? It seems to me that it was when she began tospeak to the serpent that that’s when she began to notice the fruit. Andrea, you make a good point. It was only once she began speaking to the serpent that Eve became tempted by the fruit which had been there all along. As it says in verse 6, once she spoke to the serpent she noticed that “the tree was good for food, and that it was a delight to the eyes, and that the tree was to be desired to make one wise.” Only then did she take the fruit and eat it. The serpent is likened to the evil inclination. Adam and Eve were created without an internal evil inclination, and so until then Eve had no desire to eat from the tree which God had forbidden. It was the words of the serpent which caused her to start seeing things differently and desire to eat of the fruit.